US-Cuban Relations: A New Era? Last week President Obama surprised the nation by lifting the 54-year embargo on Cuba. 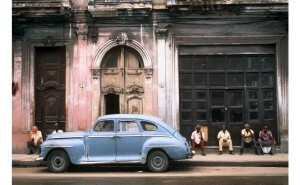 We speak about U.S.-Cuba relations: past, present, and future. With: Jasmin Torres, first generation Cuban American attorney who will run a People To People educational project, taking Americans to visit Cuba; and Franklin Knight, Leonard and Helen R. Stulman Professor of History at Johns Hopkins University.